Sheepshead Bay Branch opened in 1903 after residents raised $200 as a contribution for maintenance. Located in a community named for a large saltwater fish found along the Atlantic coast, the library moved in 1925 to a Jerome Avenue and in 1952 to a new building on East 14th Street. The current building size is 7600 square-foot branch, at the same site, opened in 1963. 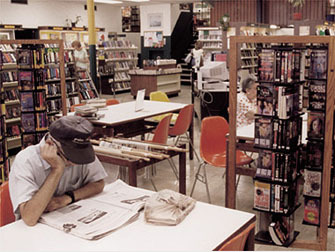 The Sheepshead Bay library was awarded by Charles H. Revson Foundation for outstanding service to the community in 2013. Children, Teenagers and Adults are welcome to participate in the library’s Annual Talent Shows. Our goal is to help promote special talents for all ages. Feel free to share your special talent and become a celebrity in our community! Register Now for our next Annual Talent Show! Rehearsals are taking place on monthly basis.